“Magnum P.I.” is described as an updated version of the original series that follows Thomas Magnum, a decorated ex-Navy SEAL who, upon returning home to Hawaii from Afghanistan, repurposes his military skills to become a private investigator. 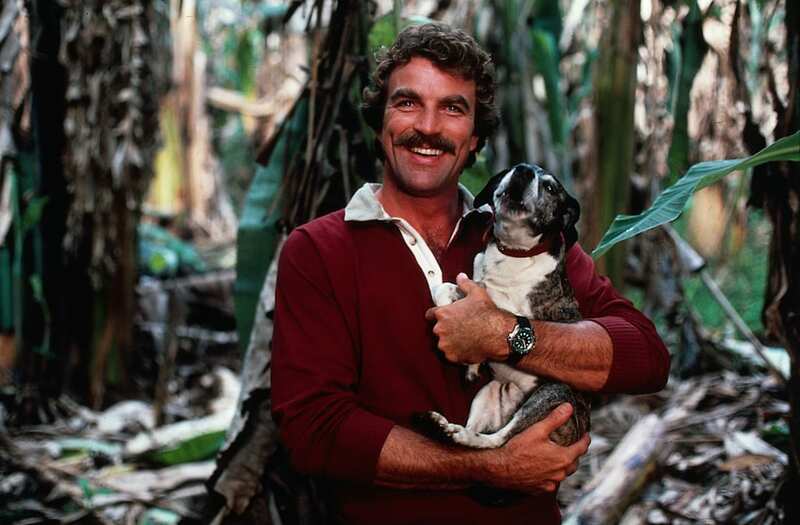 Tom Selleck played the mustachioed Magnum in the original series. Peter Lenkov, the writer and producer behind current CBS reboots of “Hawaii Five-O” and “MacGyver,” will serve as the writer and executive producer on the new version of the classic 1980s series, which had previously gotten a pilot production commitment at the network. Eric Guggenheim, an executive producer and writer on Lenkov’s “Hawaii Five-O,” will also write and executive produce. John Davis and John Fox of Davis Entertainment will also executive produce. CBS Television Studios will co-produce with Universal Television. The original “Magnum P.I.” aired from 1980-1988 for eight seasons and 158 episodes on CBS. Amerian actor Tom Selleck, of the hit tv series Magnum, during a visit to London. NORTH HOLLYWOOD, CA - APRIL 20: Actor Tom Selleck attends the CBS Screening of 'Jesse Stone: Death In Paradise' at the Leonard H. Goldenson Theater on April 20, 2006 in North Hollywood, California. (Photo by Frederick M. Brown/Getty Images). Actresses Ellen DeGeneres (L) and Kate Capshaw and actor Tom Selleck, stars of the new romantic comedy film "The Love Letter," pose together at the film's premiere, May 13 in Los Angeles. The film opens in the United States May 21. Tom Selleck poses with actress Steffani Brass, 8, at the premiere of the TNT movie Running Mates, on August 1, 2000, at the Directors Guild of America Theater in Los Angeles. Selleck and Brass both appear in the movie. “Cagney and Lacey” will follow the titular female police detectives and friends as they keep the streets of L.A. safe. Bridget Carpenter will serve as writer and executive producer. CBS Television Studios will produce with MGM Television. The original “Cagney and Lacey” ran for seven seasons and 125 episodes on CBS from 1982 to 1988. The series also spawned four made-for-TV movies in the mid-90s. Sharon Gless and Tyne Daly played the title roles for the vast majority of the series, though Loretta Swit played Cagney in the original two-hour pilot and Meg Foster played Lacey for the first season. CBS also picked up one other drama with this batch of pilot orders, titled “Chiefs.” The project explores the professional and personal lives of three driven, successful, but very different women who are each Chiefs of Police of their own precincts in L.A. County. David Hudgins will write and executive produce “Chiefs” with Carol Mendelsohn and Julie Weitz also executive producing. Sony Pictures Television will produce with CBS Television Studios. Hudgins, who is under an overall deal at Sony, previously developed the NBC series “Game of Silence.” He also produced and wrote for “Parenthood,” “Friday Night Lights,” and “Everwood.” Mendelsohn was also an executive producer on “Game of Silence” and served as an executive producer on every iteration of the “CSI” franchise. CBS has also ordered three multi-camera comedies to pilot. The first is titled “Here Comes the Neighborhood,” and would follow the nicest guy in the Midwest who moves his family into a tough neighborhood in L.A. where not everyone appreciates his extreme neighborliness. Jim Reynolds will write and executive produce, with Aaron Kaplan, Dana Honor, and Wendi Trilling also executive producing. CBS Television Studios will produce. The next project is called “Fam.” In the show, a woman’s dreams of an upstanding life with her new fiancé and his upstanding family are dashed when her younger train wreck half-sister comes to live with her to escape their train wreck of a father. Corinne Kingsbury will write and executive produce. David Rosenthal will also executive produce with Kaplan, Honor and Trilling also executive producing. Finally, the comedy “Pandas in New York” follows a family of Indian doctors with a successful group practice in New York City who embark on a project to arrange their youngest son’s life, unaware he’s made plans of his own.